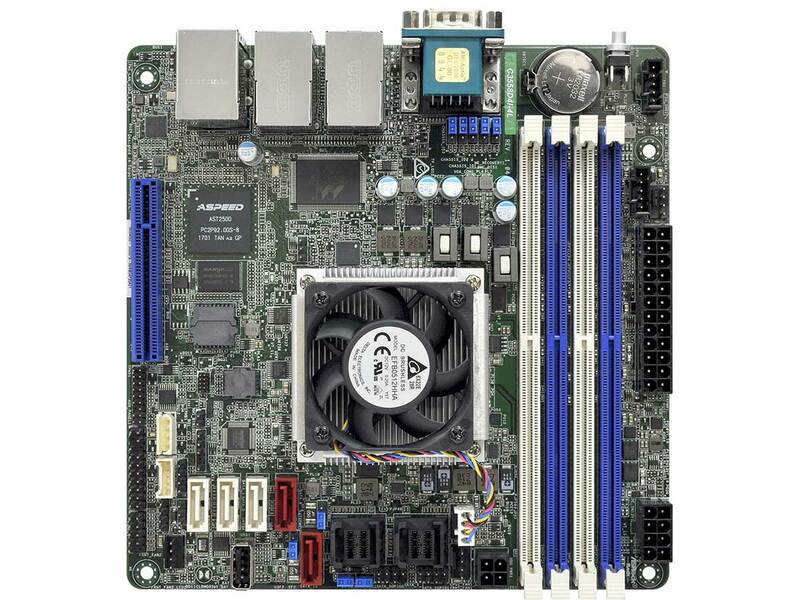 The ASRock Rack C3558D4I-4L Mini-ITX Server board is powered by a fan cooled Intel Quad Core Denverton C3558 2.2GHz 64-bit 16W TDP Processor. The C3558D4I-4L supports up to 128GB memory and has 4x LAN ports, an IPMI management port and 13 SATA & SAS ports (up to 9 usable at once). Rear Panel Connectors: 1x UID Switch and LED; 1x Serial Port; 1x VGA port (up to 1920x1200 @ 60 Hz); 4x Marvell 88E1543 Gigabit LAN (supports Dual LAN Teaming, Wake-On-LAN, Energy Efficient 802.3az, LAN1 Supports NCSI); 1x Dedicated Realtek RTL8211E management LAN (IPMI 2.0 with iKVM support); 2x USB 3.0 Ports. Board Storage connectors: 5x SATA 6Gb/s connectors (2 Red connectors support SATA DOM) and 2x Mini-SAS HD connectors each supporting up to 4x 12Gb/s SATA/SAS connectors. 2x Mini-SAS HD (SFF-8643) to 4x 29pin SAS (SFF-8482) connector cables provided. 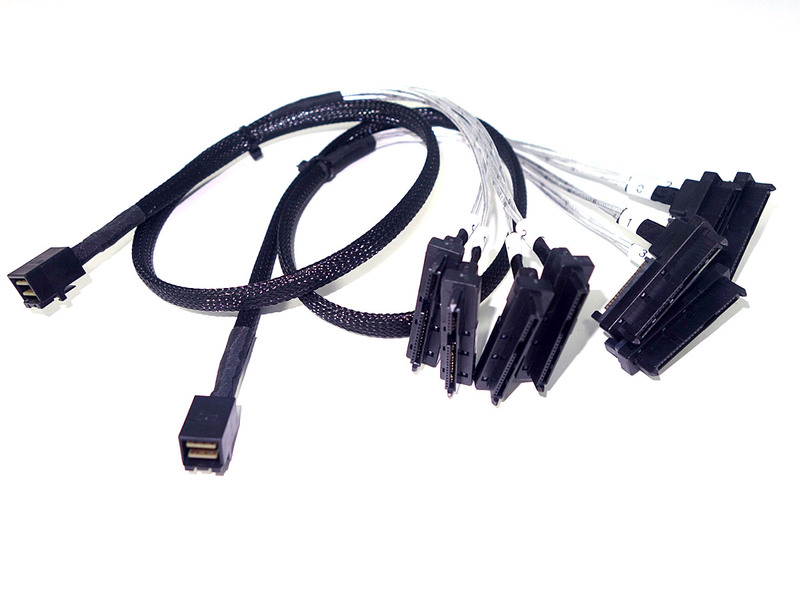 Each SAS connector is powered by a SATA power connector. 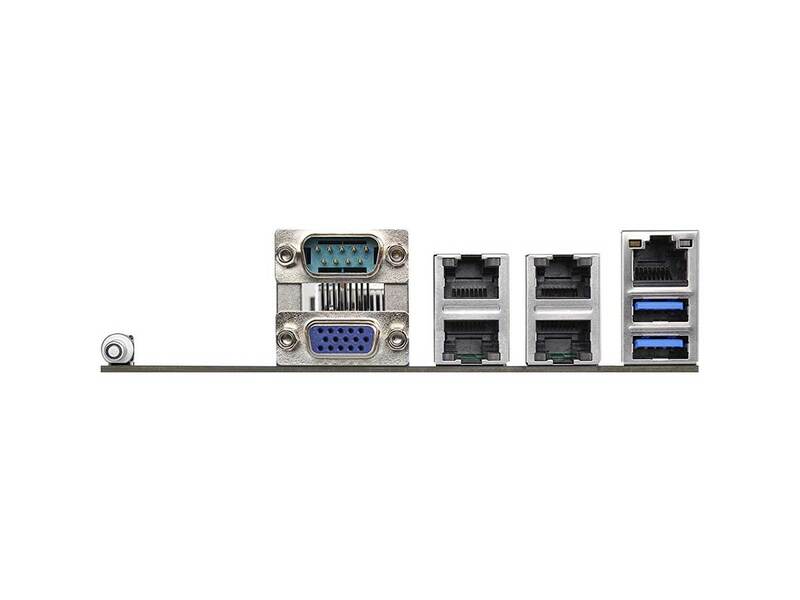 Chipset Configurations: The C3558D4I-4L has 13 storage connectors, of which up to 9 can be connected at once. 7 configurations of PCI-E, SAS and Mini-SAS HD Connector are possible. They are: 1. PCI-E x4, 5x SATA; 2. PCI-E x4, 1x Mini-SAS HD (A), 1x SATA; 3. PCI-E x4, 1x Mini-SAS HD (B), 1x SATA; 4. PCI-E x8, 1x SATA; 5. 5x SATA, 1x Mini-SAS HD (A); 6. 2x Mini-SAS HD, 1x SATA; 7. 5x SATA, 1x Mini-SAS HD (B). Graphics: ASPEED AST2500 Controller supports VGA output up to 1920x1200 @ 60Hz and 64MB VRAM. OS Support and Downloads: The C3558D4I-4L is compatible with 64-bit Microsoft Windows Server 2016, 2012 and 2012R2; RedHat Enterprise Linux Server 6.8 (32/64-bit) / 7.2 (64-bit); CentOS 6.8 (32/64-bit) / 7.2 (64-bit); SUSE Enterprise Linux Server 11 SP4 (32/64-bit) / 12 SP1 (64 bit); Fedora core 24 (64 bit); Ubuntu 16.04 (64-bit) / 15.10 (64-bit) (AHCI mode); VMWare® ESXi 6.0. BIOS, Documentation and Drivers. 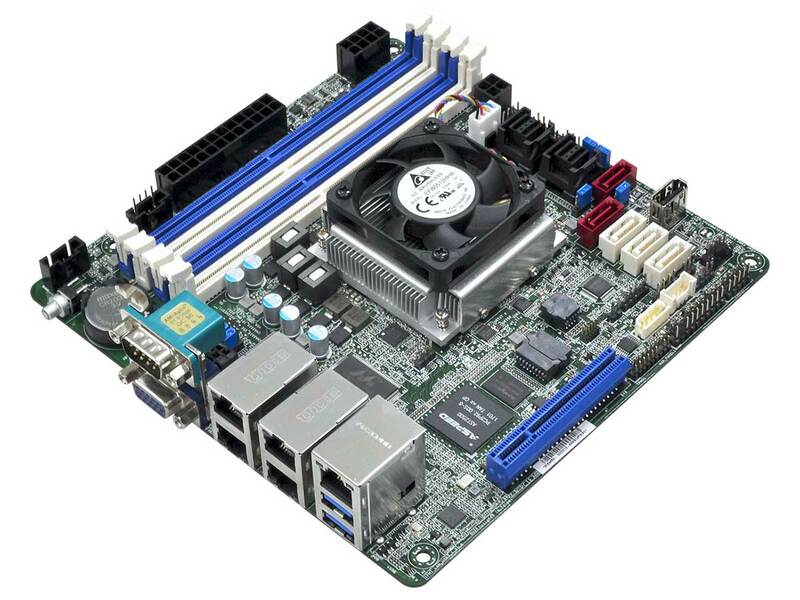 Windows 7/10 Support: This motherboard is intended for Linux / Server OS use. It is not compatible with Windows 7 and no Windows 10 drivers are provided. 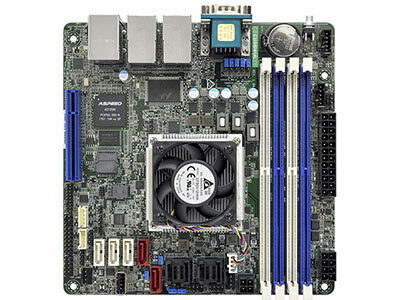 Suitable Memory: The ASRock Rack C3758D4I-4L has 4x DDR4 1600/1866/2133/2400MHz Slots supporting up to 128GB (as 32GB RDIMM) or 64GB (as 16GB Non-ECC or ECC UDIMM). Suitable DDR4 DIMMs are available in the 'you may also require' section to the left. Outputs 1x VGA 1920x1200 @ 60Hz max res.